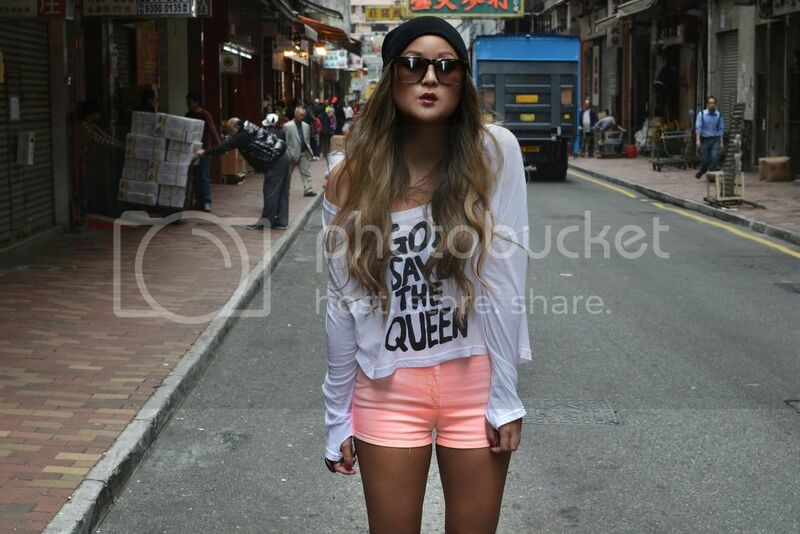 God Save the Queen – Christing C.
Asos shorts and beanie, One Teaspoon tee via Asos. This was another look I was playing around with and contemplated submitting for Round One of Asos Future Stylist. It’s a little more casual, and incorporates a thin long sleeve tee that feels as comfortable as a pajama top when worn. Thank you to all of you who have voted!! Your support means so much to me! And now I have a little giveaway for you! I have a £25 gift voucher from Asos to give to one lucky reader and I am also going to personally add this One Teaspoon tee I’m wearing in this post! 4. Then just leave a comment below, or send a tweet to me @ChristingC. You will automatically be entered for a chance to win not only the £25 gift voucher from Asos, but also the One Teaspoon tee in this post! I will pick a winner at random and announce who it is once voting closes for Round One! You only have a few days, so don’t wait too long!